Ride in a car we yarn bombed! 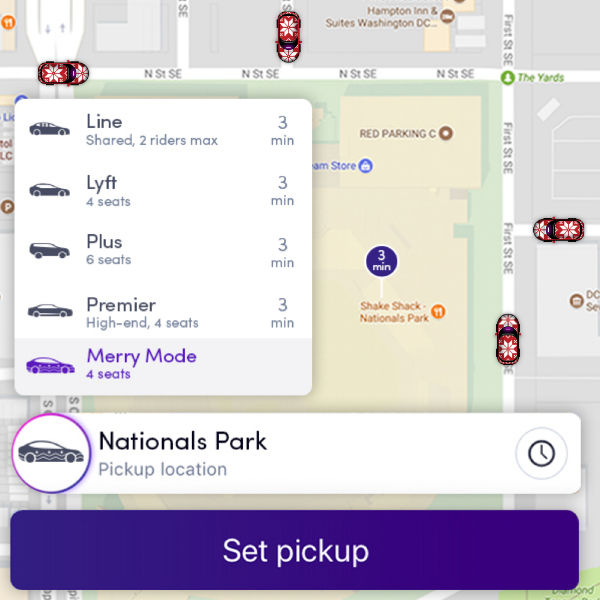 Washington, D.C. Lyft riders will see a new app option during the 2017 holiday season: Merry Mode. Tap it and a Lyft car in an ugly Christmas sweater that we helped crochet arrives complete with karaoke carols inside. Read more about it here. Lyft donates its share of each Merry Mode fare to local nonprofit Martha’s Table. How do you yarnbomb a gorgeous event without detracting from either the existing interior design or exhibited art… in one week? When Gensler Architecture and Design asked us to yarnbomb their San Francisco headquarters to accentuate a quarterly workplace art show, in this case a fiber art exhibition, this was our dilemma. You’ve seen our epic yarnbomb of a 1950’s Chevy truck in Old Navy‘s San Francisco Flagship store (up til January 2015). Now get ready for the second epic yarnbomb: three yarnbombed bumper cars in Old Navy’s New York 34th St Flagship store. How awesome is Old Navy to choose yarnbombing to celebrate #OldNavyStyle in a season full of fashionable knitwear for the people! We were so stoked that they asked us to do this second project on the same block with the Thanksgiving Day parade. It’s our little Miracle on 34th Street. Forget Santa’s lap–go snuggle your derrier into one of these vintage babies this Christmas. (And I know you want to but sorry, they don’t move around.) Be sure to tag us in your pics (@knitsforlife @thedappertoad @oldnavy) so we can see you!